With 2016 looming, it can be tempting to kick back and celebrate the New Year and successful holiday season. But, as any seasoned marketer can tell you, there is never any time for rest in the world of SEO. The past year has seen huge changes in the world of SEO, with a newly emboldened emphasis on mobile optimization and responsive design, the change to 3-pack results in local search, and the expected new algorithms running over at Google. With that in mind, it’s time to start looking forward and preparing for a booming 2016 by predicting the biggest trends likely to define the coming year. CJG Digital Marketing is doing just that with a new infographic detailing the hottest SEO trends in 2016. See the infographic below, or at CJG’s website. Every business wants to grow, but acquiring new customers isn’t easy. If it was, every business would be a success. Thankfully, the internet has made it easier than ever to connect with new potential customers and grow your audience. The catch is that you can’t keep using the same strategies you relied upon in a few years ago. Instead, you have to get a new strategy for the digital age. To help you get started forming a new winning strategy for customer acquisition in 2016, Eliv8 has shared an infographic that will help you effectively grow your business. You can see the infographic below, or at Eliv8’s website. Google is continuing its efforts to promote privacy in search by prioritizing indexing HTTPS pages over their HTTP equivalents. In the announcement, Google explains its long-term aim is to eventually direct users to secure webpages with a private connection. The step to only index HTTPS pages when an HTTP equivalent exists is their most recent move in this process, following the small rankings boost given to HTTPS pages last year. Unlike the change to Google’s algorithm in August 2014, this move will not have any effect on rankings. Instead, it simply means that Googlebot will only index the HTTPS version of a URL when both an HTTPS and HTTP version exist. Christmas is almost here and the New Year isn’t far behind, which means it is time for the annual end-of-the-year lists to show us what people were searching for this year. Yesterday, Google released their “Year In Search” video and list to highlight the most important topics of 2015. The most searched for topic of the year is also possibly the most tragic; Google counted over 897 million searches about Paris this year, largely due to two major terrorist attacks in January and November. Particularly, in the immediate wake of the November attacks, Google saw the most searches about the city ever performed in the search engine’s history. The Year In Search list also features several top news events such as Hurricane Patricia, the discovery of water on Mars, the terrorist group ISIS, and the earthquake in Nepal. While the end of the year list features several events that united us through tragedy, it also shows the more lighthearted topics that caught our collective hearts and minds over the past year. “Star Wars” was a huge topic of discussion for the internet, with more than 155 million searches before its world premiere. However, the most searched for film of the year was actually another highly anticipated sequel. “Jurassic World” took the lead spot, although Google didn’t detail exactly how many searches it received. With all the focus on Donald Trump these past few months, you might expect him to lead the most searched for public figures, but The Donald only came in seventh place behind Charlie Sheen and the Orange Is The New Black character Ruby Rose. Instead, the three most talked about public figures of the year were Lamar Odom, UFC fighter Ronda Rousey, and Caitlyn Jenner, who saw a huge spike in interest following her gender transition announcement on ABC News’ “20/20” in April. You can see Google’s inspirational Year In Search video below, or you can browse all the Year In Search lists at Google Trends. After months of waiting, advertisers will finally be able to start buying Promoted Pins, starting in January. The company officially announced Promoted Pins, its first advertising unit, last January, however it has limited access to a small number of partner advertisers. It has gradually given access to the service to more businesses, including some small and medium businesses, but most have been left waiting for a widespread rollout. Well the wait is nearly over, according to an announcement made yesterday by Tim Kendall, Pinterest’s monetization chief. “The business is scaling very rapidly,” Kendall told USA Today. The company also announced it has reached over one million active business accounts globally yesterday. Most online advertisers consider conversion tracking an essential part of their toolkit. After all, why pour money into advertising if you can’t properly see how effective it is and optimize it? However, there are many businesses who are not using conversion tracking or importing goals from Google Analytics into AdWords. Google says they have a new feature just for them. The new Smart Goals are powered by Google Analytics and aim to help businesses without a way to measure conversions evaluate their advertising efforts and optimize their campaigns. Unlike conversion tracking and Analytics goals, Smart Goals don’t measure actions taken directly on an advertiser’s website. Instead, it uses the anonymized conversion data collected from other websites by Google Analytics to identify visits “most likely” to convert based on Google’s estimate. To set up Smart Goals, advertisers will need to link their Analytics and AdWords accounts and must receive at least 1,000 clicks rom AdWords over a 30-day period “to ensure the validity of your data.” From there, select Smart Goals, under Goals in the Admin tab. Advertisers can even preview well Smart Goals can work for their site before activating it by exploring the new “Smart Goals” page under Conversions in Analytics. This page lets you analyze the behavior of Smart Goals visits and compare those to the visits deemed unlikely to convert. 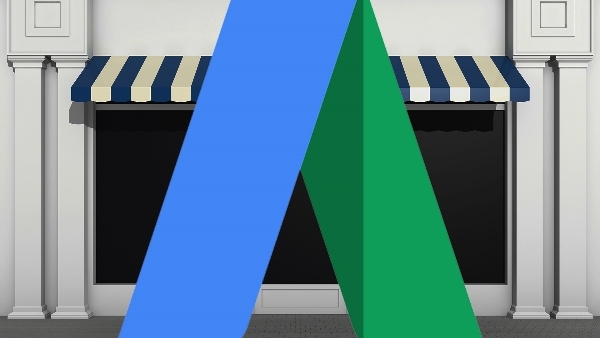 If you like what you are seeing, you can then import Smart Goals into AdWords. If you need help getting started, contact us. We can get you set up and help you optimize your advertising to ensure the best results. The holiday shopping season is in fever pitch, which means most business owners and marketers are going full-steam-ahead on their online marketing strategies to rake in their piece of the $650 billion predicted to be spent this year. So how can you get in on the action? Pixel Road Designs recently shared an infographic that can give your holiday marketing strategies the extra boost they need to make this holiday season a huge success. Check out the infographic below, or at Pixel Road Designs’ website here. 2015 is coming to a close, and Google has begun their end-of-the-year celebrations by highlighting the most popular videos of the year. The past year has been an especially big one for YouTube, which has been celebrating its 10th birthday all year long. It has also been the first year that YouTube has seen true competition. Facebook’s video platform has given the service a run for its money, by giving videos a wider platform and more prominent place in news feeds. To help reminisce about 2015, YouTube also gathered over 150 YouTube creators for the latest installation of YouTube’s annual Rewind video, showcasing everything from dance prodigies, TV personalities, and even an insane plastic ball fight. YouTube is certain to be a huge part of all of our lives for the years to come and these videos show the wide variety of videos you can find across the site. If you have a video you want seen in 2016, especially business related videos, YouTube is the place to look. Since launching in spring, Google AdWords’ structured snippet extensions have shown themselves to be a powerful tool in the AdWords arsenal. Structured snippets add an extra line of information with your text ads which specifically highlight important information for searchers. When implemented well, this can boost click-through rates for ads. Now, Google has made these structured snippets even more visible in the search results by doubling the amount of information that can accompany text ads. To do this, advertisers can select two predefined “Headers” which act as structured snippets. Then, those headers can be customized with two unique sets of values. Depending on the search results, these snippets have the potential to be displayed at the same time. Google does say that each structured snippet extension is treated as its own ad auction, and like other ad extensions, may not always appear together. You can boost the chances of having both extensions display at the same time by being thorough and providing as much information as you can. With more information, the ad auction is better able to select the highest quality combination of extensions. Not only does this improve your chances of having both snippets show at the same time, it also increases your overall ad performance. While apps have become the hottest trend for smartphones, the market for apps can be incredibly competitive and hard to break through. Mobile users have limited space on their phone for apps, so they can be hesitant to try out new apps, especially if they are new or relatively-unknown. 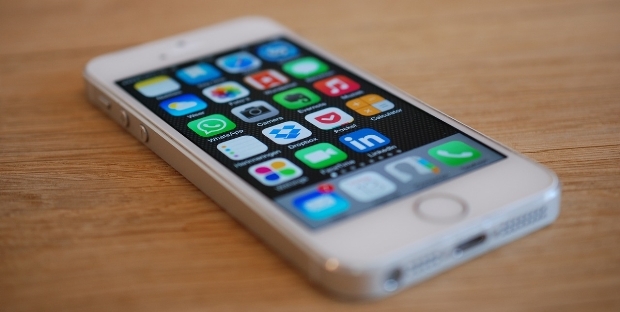 Even when users do download apps, they often only use it once and forget about it. Now, Google has launched a new service to let users try out any app they want without having to use up their precious hard drive space. The company has launched a new streaming mobile ad feature that allows users to access a short 60-second or less version of the app that responds just like the full app. The new streaming mobile ads, called “Trial Runs” allow users to try the app without downloading, which will hopefully help limit the number of “one and done” app downloads. Instead, it will motivate developers to focus on targeting a more refined audience who will be more likely to gully engage with the app. The new feature is currently available to a limited number of testers, with no word of when to expect a full rollout.